The Project Account is a part-time member of the Finance team. Duties include managing the general ledger, performing monthly journal entries and account reconciliations, assisting ministry teams and managing special projects as assigned by the Finance Director. • Enter transaction data and extract necessary financial information from database for reporting purposes. • Perform month end accounting process, including bank reconciliations and general ledger account reconciliations. • Assist Ministry teams with budget/accounting questions, correcting accounting errors and financial reporting. • Prepare financial statements and reports for Finance Director approval. • Backup other Finance office staff during sick days and vacations and assist with daily Finance office tasks. • Assist with yearly audit preparation and year-end financial reporting. • Other duties as assigned by Finance Director. • Bachelors degree (B.A.) from a four-year college or university, Certified Public Accountant (preferred) and 4-5 years of experience managing financial projects. • Church or non-profit experience preferred but not required. • Computer knowledge – Microsoft Office suite, specifically advanced Excel internet/intranet and database concepts. • Ability to communicate well. • Understanding of workflow in order to handle multiple projects simultaneously. 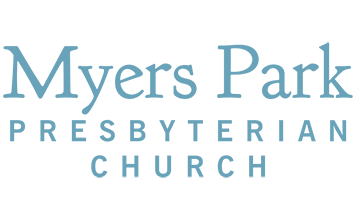 Submit a cover letter and resume to Lynn Williams, Human Resources Director at lwilliams@myersparkpres.org.